When it comes to baby products, I’m always on the hunt for something versatile, functional, and fun. 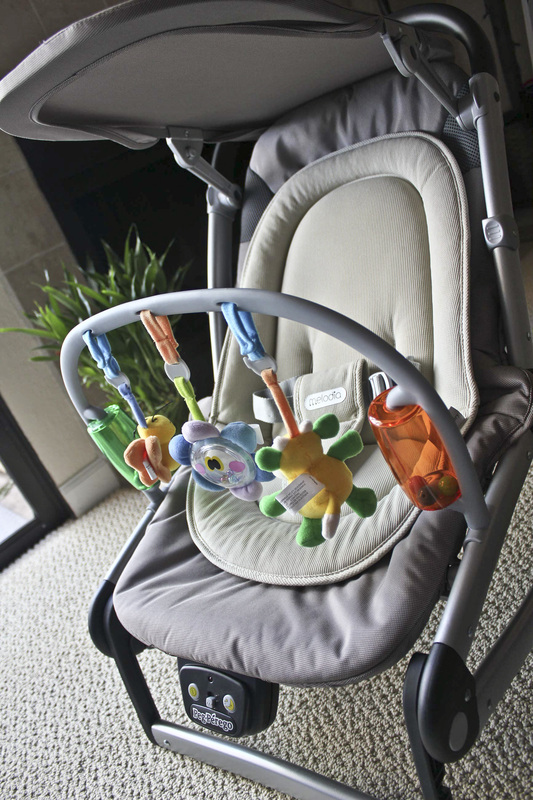 Many baby products seem to excel in either versatility, form, or function, but not the Peg Perego Sdraietta Melodia Italian import bouncer; it has it all! This bouncer looks absolutely amazing, and then you try it out… and it is absolutely amazing! The Sdraietta Melodia is a one of a kind bouncer. Not only does it play music with surround sound speakers and have MP3 compatibility, it easily converts to a rocker from its stationary position and is adjustable for comfort with 2-position recline; it has a carrying handle and buckle closure; it folds for storage with a detachable toy bar and removable, padded seat; and it’s conducive to every situation, whether you are at home, going to a friend’s house, or even hitting the beach and taking advantage of the sun canopy. It may cost a bit more than the average baby seat, but that’s because it has so much more to offer. Another great thing about this infant seat is it is both a bouncer and a rocker. The frame allows the chair to gently rock or you can activate the non-rocking stabilizer that allows the seat to stay stationary but allows it to lightly bounce. Playing or needing to go down for a nap, the stationary base easily switches to a rocking mode and the adjustable backrest bestows contentment. The seat is portable and perfect for everywhere use. It folds nearly flat for storage or transport. An adjustable, removable sun shade makes outdoor use a breeze and the breathable fabric seems comfortable, not hot or sticky. Musical entertainment can be set to baby’s preferences. The seat has built in speakers located at the top of the chair for the baby to enjoy eight different programmed sounds, including four playful tunes such as This Old Man and four soothing tunes such as Twinkle Twinkle Little Star. Keeping up with technology, the bouncer was created to play personalized music from your own MP3 player. Just plug your MP3 into the speakers and your baby can listen to your favorite music. Plus, by using a MP3 player, you will have total volume control. I love that you don’t have to hear the same music over and over; we all know how redundant that can be when it comes to baby gear! The Sdraietta Melodia also sports a toy bar that offers some visual stimulation. The toy bar, featuring five interactive noise-making toys, is adjustable and removable. There are three hanging toys: a crinkly butterfly, a cow that moos, and a flower that shakes. There are also two toy spinners on the sides of the bar. The toys can be easily detached for washing or providing a less stimulating environment. The Sdraietta Melodia retails for $169, but for a bouncer and rocker with surround sound, a solid construction, a great canopy, and a fabulously trendy look, if you have the extra cash, it’s definitely worth it. With all these options, you really can’t go wrong! 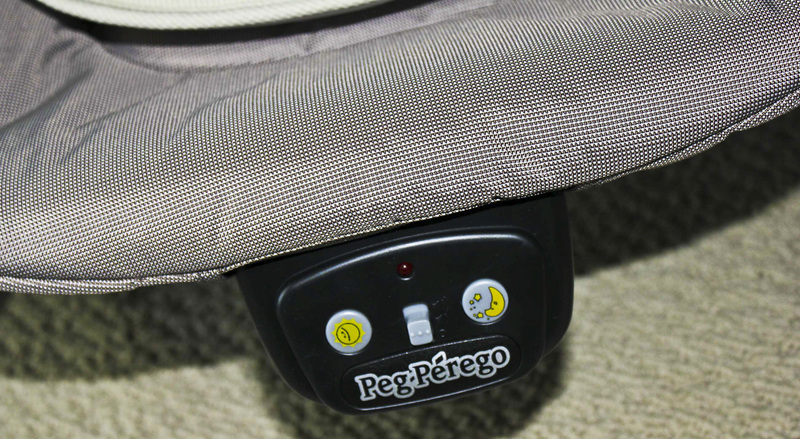 You can connect with Peg Perego on Facebook and Twitter to stay up to date on their latest technology! This entry was posted in Babies, Baby Carriers, Baby Product Reviews, Baby Products, Maternity, Newborn, Newborn Products, Pregnancy, Pregnant, Product Reviews, Uncategorized and tagged Babies, Baby, Baby Bouncer, Baby Product Reviews, Baby Products, Children, Infant, Lesley Carter, life, love, Newborn, Newborn Products, Peg Perego, Pregnancy, Pregnant, Review, Sdraietta Melodia by lesleycarter. Bookmark the permalink. I wasn’t planning to read a good article on a baby-whatchamacallit today. 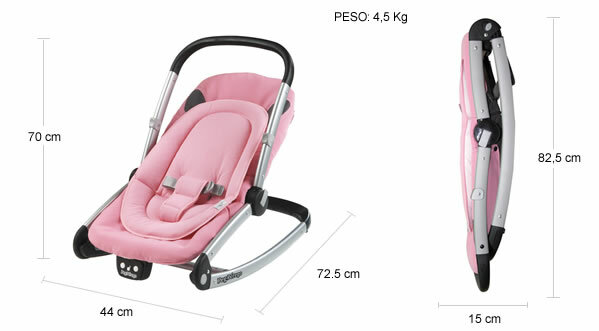 I love Peg-Perego baby products; high quality and practicality. And they’ve been on the market for over 60 years with an amazing reputation. Peg Perego has been around for over 60 years, but they certainly are keeping up with the times. I loved having a portable seat such as this with my first child. Good choice! My family used Peg Perego products when I was a child, but I never had a bouncer/rocker seat like this. I really think it will help with daily activities around the house and even at the beach. I love it! It’s the perfect addition to my living room and I’ll even bring it into the bathroom while showering. It is one of my best finds to date. I can’t wait to use this with her when I visit. I had their 1990 version of this, back in the day for my daughter… I’m glad to see they are basically the same device they were at the time, but so much nicer. This one looks much more functional than the one we had. BTW, thank you so much for liking my blog entry! It seems we have travel-lust in common. 😉 Babies… not so much, not anymore. But when and if I become a grandmother, I will look for this company again. With over 60 years in business, many people remember using a similar product with their children and when they were younger. Thanks for sharing! I wish I had these when my kids were growing up but will suggest to my wife’s daycare folks who may want to get one of these. All we now need is and IPAD with it!! My list of things to get as a future dad is getting extensive. Thank you for sharing though! 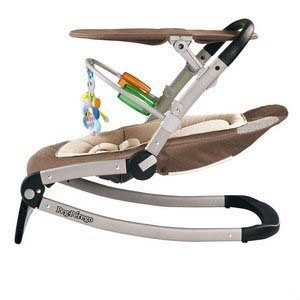 Leslie, you should also check out the Mamaroo! It rivals bouncers and swings by moving the way a mother would. My mother-in-law bought it for my husband and I and I just can’t wait to use it. Once Dylan is born I’m going to do a review on it. Great blog by the way! 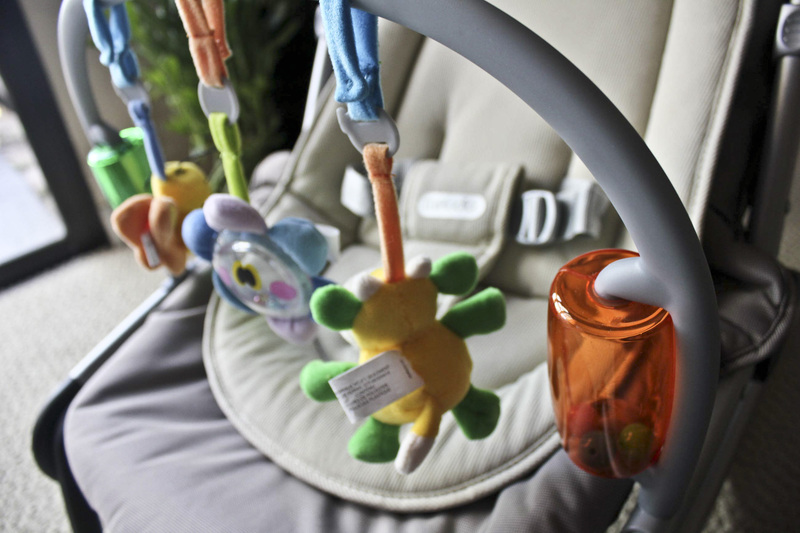 Great article on the Peg Perego baby bouncer. I was never able to afford this high end product but have always thought their quality was amazing! Wow that’s quite a bouncer! I had one for my little guy and it was a lifesaver the first four months. Mine was just a Fisher Price one and he outgrew it FAST (big babies do that :P) so we got another one for him that becomes a toddler rocker. The MP3 player is neat and I love how this one folds up. You find the neatest things! IMHO – you can’t go wrong with Italian design! Crazy technology these days, I wonder what’s the next level! Gonna get into this work… Lesley how did you get the photo across the back of yr blog BTW?? I’ve already purchased a sling, a pouch, and a carrier 🙂 I just know that I will need some time to do things like shower, cook, and clean without the baby in my arms all the time. The bouncer is easy to carry and transport around the house and the perfect place to rest my precious princess while I’m folding laundry or washing dishes. I can’t wait to hold her closely in a sling and it was one of my first baby products. I went and saw the reviews of the carriers after I’d left this comment. I’d still recommend checking out La Leche League, though. I made great friends there and it really helped me when I got to trouble spots in my parenting journey (like sleep…). And like when I wanted to figure out how to wear my first on my back while I was making dinner or doing dishes. With my second, I even had to wear him in the shower (bought a water wrap for that) when he was teething. Poor guy wouldn’t let me put him down at all. Looks cool but I’m guessing it’s tricky to assemble – they usually are! 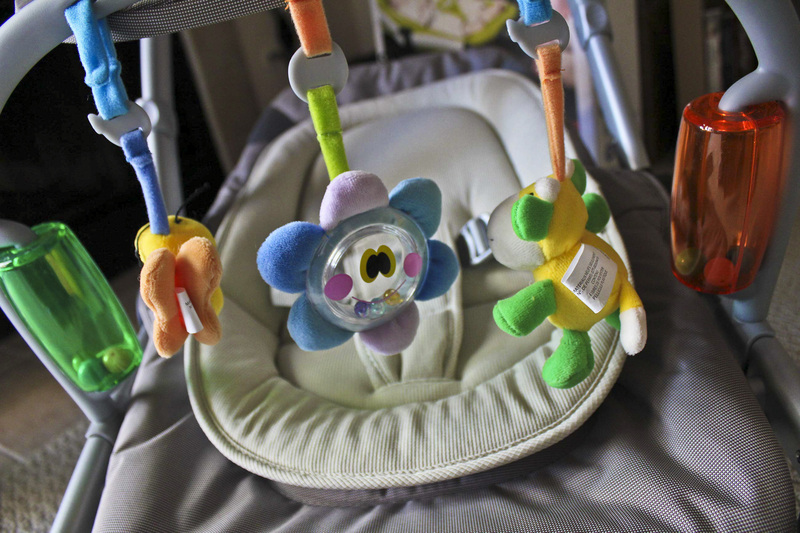 Does this baby bouncer actually vibrate? Or does it just allow you bounce and/or rock it maunally? If so, does it run on batteries?